Published on February 3, 2009 in Channel 4 and Videos: Promos. 4 Comments Tags: more4. 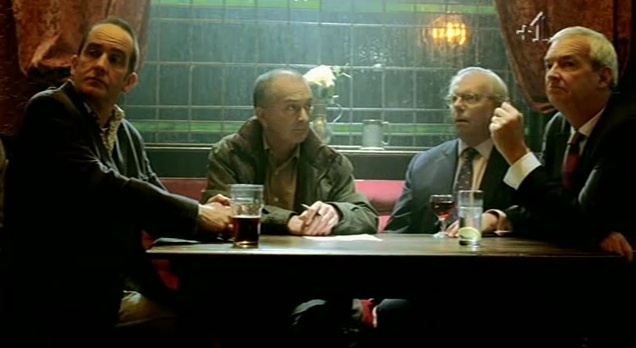 Tony Robinson, Kevin McCloud, David Starkey and Jon Snow take part in a pub quiz, terrifying their fellow patrons in the process, and backing up More4’s claim of being ‘really quite clever’. 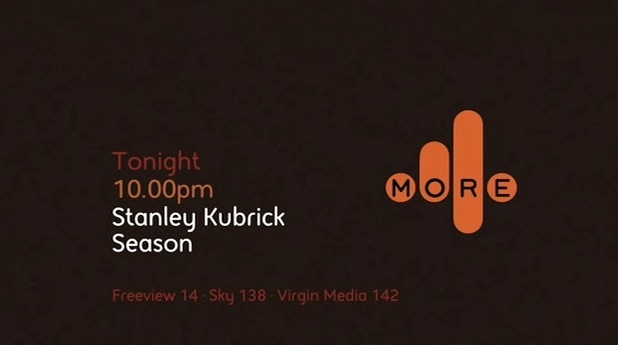 The Stanley Kubrick season on More4. Published on July 20, 2008 in Channel 4 and Videos: Promos. 1 Comment Tags: channel 4, kubrick, more4. Last week Channel 4’s digital sibling More4 launched the Stanley Kubrick season, a ten day film festival of some of the celebrated directors work. This stunning promo was shot in one long take, and is a look behind the scences of Kubrick’s 1980 film The Shining, all from the perspective of the director himself. The spot produced by Channel 4 Creative, was meticulously researched and was even shot using the directors favourite lens. Truly fitting for such a influential filmmaker. British television seems to love the idea of programming “seasons”. More4 won an award for this promo used for their State of Russia season a few years back, and earlier this year BBC Four took its viewers on a trip into the Medieval mind. Published on July 2, 2006 in Channel 4 and Videos: Idents. 1 Comment Tags: more4. Extended three minute promo for the More4 digital channel. West Wing, The Daily Show and Curb Your Enthusiasm, sounds cool.